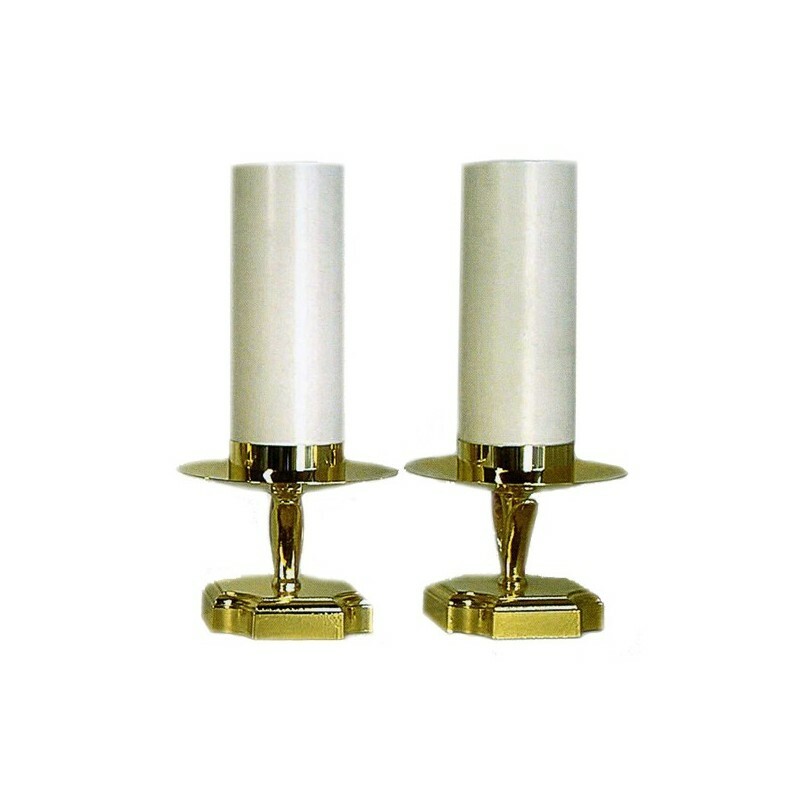 Candleholders couple with simulated candle. 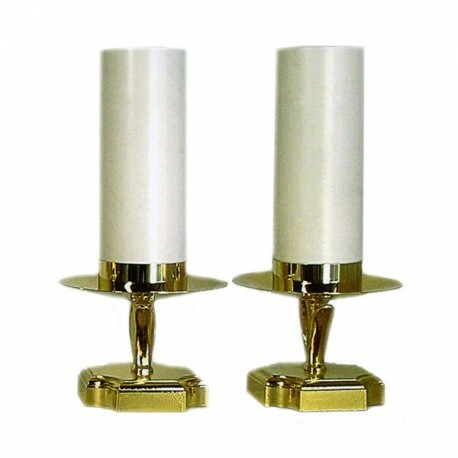 > RELIGIOUS ITEMS>HOLY FURNITURES>CANDLEHOLDERS>CANDLEHOLDERS COUPLE WITH SIMULATED CANDLE. 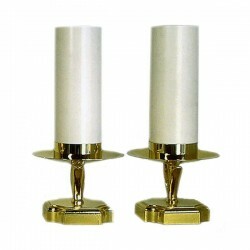 Altar candleholders couple, of golden brass, with simulated candles and liquid wax cartridges. Diam. 8x25 cm.